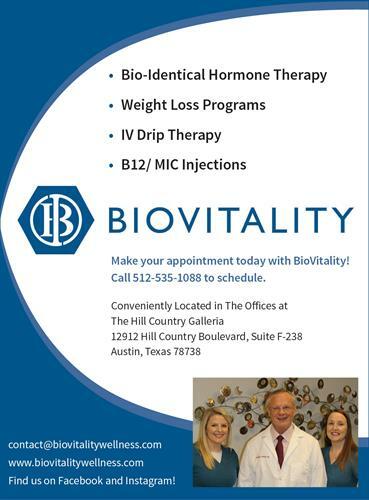 At BioVitality, Genetic Testing takes the guess work out of how to diagnose and treat you. We can reinvigorate your mind, body, and life with tailored care. Our goal is to optimize your health with balanced bioidentical hormone replacement, weight management, brain and heart health, IV supplements, and through genetic testing, you get the exact formula of nutritional supplementation designed for your individual genetic needs. Located in The Offices at The Hill Country Galleria. Park on the upper level of the Gallerial in parking garage A (next to Dillards). Parking garage A is directly in front of the building.